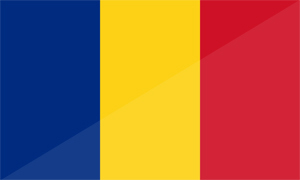 We are currently interviewing potential candidates to be considered for the ERA master franchise for Romania. Please fill in the contact form and someone will contact you shortly to discuss the possibilities with you. Thank you. Your feedback was successfully sent, Thank You! Albania, Andorra, Bosnia Herzegovina, Croatia, Cyprus, Denmark, Estonia, Finland, Gibraltar, Great Britain, Greece, Hungary, Ireland, Italy, Latvia, Liechtenstein, Lithuania, Macedonia, Malta, Monaco, Montenegro, Norway, Poland, San Marino, Serbia, Slovakia, Slovenia, and Spain. ERA Franchise Systems LLC launched its European expansion in 1993 with the opening of ERA France. Today, ERA Europe is one of the fastest growing residential real estate network in Europe with 1108+ offices in year 2016 operating in 13 European countries: Austria, Belgium, Bulgaria, Cyprus, Czech Republic, France, Germany, Luxembourg, the Netherlands, Portugal, Sweden, Switzerland and Turkey. Master Franchise owners benefit from entering a market with a proven system; acquiring a brand that has been successfully implemented in diverse European markets; support and guidance by an expert and dynamic management team; a history of results and consistent growth during 17 years of development throughout Europe. It is the goal of ERA Europe to create the leading national residential real estate network in each market that will provide the best products and services to buyers and sellers of real estate. Unique synergies will be achieved via neighboring European countries where ERA is established, and internationally.